Lieutenant-Colonel Charles Bevan is one of the many tragedies of the Peninsular War and a story which I found particularly sad. There were so many deaths in battle or from wounds or sickness, but in the middle of it, Colonel Bevan took his own life over a matter of honour. Bevan served in the 28th foot in Egypt, Copenhagen, Walcheren and then in the Peninsula. He was promoted to Lieutenant-Colonel in January 1810 and appointed initially to command the second battalion, 4th foot and then the following year moved to the first battalion in the Peninsula. 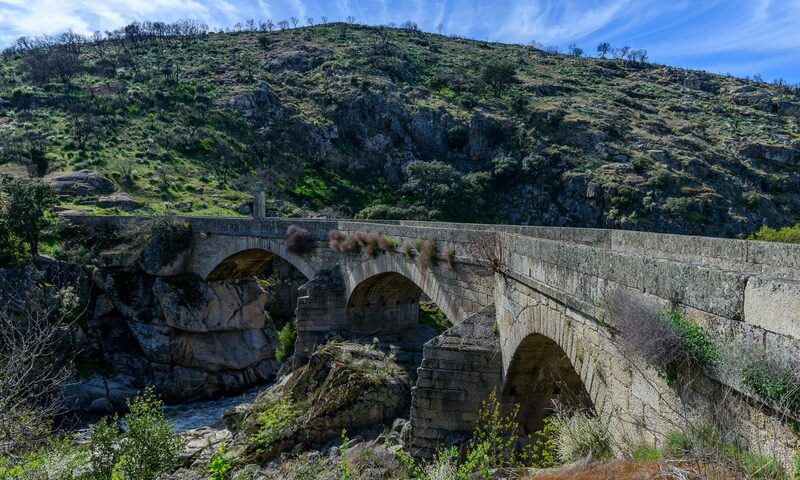 After the Battle of Fuentes d’Onoro on 2nd May, 1811, the French Commander Messena ordered the besieged garrison at Almeida under General Brennier to break out to the north-west and rejoin the French forces via the bridge at Barba del Puerco over the river Agueda. 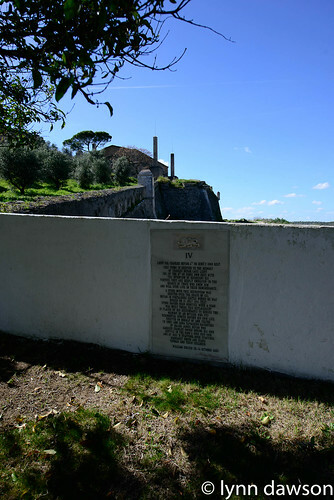 Wellington had been expecting such a move and sent orders to General Sir William Erskine to extend his fifth division northward as far as the bridge at Barba del Puerco by sending the 4th Foot to the bridge itself. Meanwhile, Campbell’s sixth division and Pack’s Brigade were to continue the investment of Almeida. The orders were sent out by 2 p.m. on the 10th and reached Erskine at his Headquarters by about 4 p.m. Erskine claimed to have sent the orders immediately to the 4th Foot at Val de Mula but it seems they were not received until around midnight. 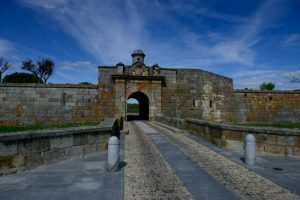 At about midnight, the garrison of 1400 men broke-out from Almeida, blowing up the powder magazines and made it through the pickets of the Portuguese and 2nd Foot. Pack’s Brigade and Campbell with the 36th pursued the French towards the bridge at Barba del Puerco. Lieutenant-Colonel Bevan, having received his orders around midnight, had decided to wait the few hours until day-break before moving. However, on hearing the gunfire, Bevan ordered his regiment to move off quickly towards the bridge. The French arrived at the bridge first, pursued by Pack’s force and the King’s Own with the 36th Foot attacked the second French column in flank as it was descending the steep road to the bridge. Despite losses, the main French force made it across the bridge. Lieutenant Colonel Cochrane of the 36th with a detachment from his regiment and the 4th decided to rush the bridge and was beaten back with casualties. What really happened on that fateful night to enable the French to escape from Almeida will never be known. Historians differ on the exact sequence of events, but there is some consensus that General Erskine, who was dining with Sir Brent Spencer that evening, received the orders and put them in his pocket, forgetting about them until around midnight. Realising the severity of his error he then excused himself to Wellington by claiming that the 4th had set out late and then lost their way. “The French could never have escaped had it not been for an accident in Sir William Erskine not sending an order in time to Colonel Bevan, which caused him to be too late at Barba del Puerco with his Regiment. Poor Bevan was censured by Lord Wellington, which circumstance preyed so much on his mind, knowing he had done his duty, that he blew his brains out. Bevan’s wife and children in England were informed that he had died of fever and it was not until 1843, that his eldest son, Charles was told the truth by an uncle, Admiral James Richard Dacres, who wrote informing him that the 4th had received their orders too late and that neither Bevan nor his Regiment were at fault. Bevan’s story is often cited by critics of Wellington as an example of his autocratic and uncaring behaviour towards his officers and it is true that the commander-in-chief does not come out well from the affair. Wellington was well aware of the problems of Sir William Erskine as a divisional commander. His temporary command of the elite Light Division had been disastrous, he was very near-sighted and apparently had mental health problems as well as being arrogant and unwilling to listen to advice. There were rumours too, that he drank too much, and one wonders if that may have influenced his casual treatment of Wellington’s orders that night. Certainly Wellington was quick to remove Erskine from his position commanding a division and instead sent him to lead four mounted regiments in the newly organized 2nd Cavalry Division in Rowland Hill’s corps. At some time during 1812 Erskine’s problems were too obvious to ignore and he was declared insane. In 1813 he killed himself by jumping out of a window in Lisbon. Wellington’s tolerance of Erskine for so long can be explained by the man’s connections and possible influence in London. Although the commander-in-chief would have liked to ignore politics and fight his war, it was not always possible. For the same reason, he was probably reluctant to publicly censure Erskine for his likely blunder in the Almeida affair. But it is also very possible that Wellington genuinely believed that Bevan had made a mistake by not setting out for the bridge during the night. It should be remembered that Wellington did not take any measures against Bevan or the fourth. He was not court-martialled or disciplined in any way. 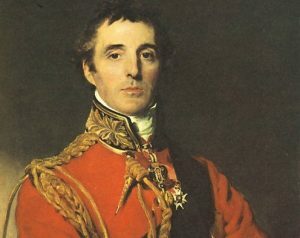 It is very probable that Wellington simply failed to take into account the effect of one of his not infrequent public criticisms of his officers on a man as sensitive as Charles Bevan. Bevan was known to suffer from periods of melancholy, probably what would today be recognised as clinical depression. Other officers had suffered from their commander-in-chief’s insensitivity and bad temper and recovered. Bevan, sadly, was unable to do so. There is now a memorial to Charles Bevan in the English cemetery in Elvas, a beautiful little place which we visited last year. It is impossible not to feel sad at the waste of a man who was liked and respected by his fellow officers and loved by his wife and children. In a different time, under a different commander, Bevan might have done better. Service under Wellington, it seemed, required a thicker skin than poor Bevan possessed. The story of Bevan is told in full in Wellington’s Scapegoat by Archie Hunter and has been discussed by various historians. Some claim that Wellington deliberately scapegoated Bevan to avoid the political consequences of telling the truth about Erskine. Others suggest that Wellington genuinely believed Bevan to have made a mistake and could see no reason to take the matter any further. Bevan had been told and simply needed to get over it and move on. Rory Muir, in his excellent biography of Wellington, points out that it probably made no sense for Wellington to re-open the unfortunate affair with an enquiry. There was a war to fight and decisions to be made and there was no time for agonising and recriminations. It was a harsh but practical approach which may have sat ill with some of Bevan’s fellow officers, but it probably accounts for some of Wellington’s success as a commander. What may be true, is that Wellington could have explained his decision not to allow an enquiry to Bevan rather than brusquely refusing without discussion. That, certainly, is Wellington at his most autocratic but it was not personal to Bevan and most of his officers managed to survive it. Poor Charles Bevan, with his periods of depression, simply could not. The suicide of Charles Bevan is an integral part of the story of An Uncommon Campaign, the third book in the Peninsular War Saga although we do not meet Bevan personally. Colonel Paul van Daan’s reaction to his death is a mixture of sadness, guilt and anger and probably mirrors that of a lot of the officers who knew Bevan. Even today depression and suicide are difficult for many people to understand, and for a character like the belligerent and outgoing colonel of the 110th, Bevan’s despair and his decision to leave his wife and children must have seemed completely incomprehensible. Knowing more about the condition today, it is easier to understand what happened to Bevan. For me, the story is a reminder of the realities of war in any age. The men who held officers’ commissions under Wellington all experienced combat and army life in their own individual way. We look at the army, marching across the plains and mountain ranges of Portugal, Spain and France, as a unit but, to the officers and men fighting in it their stories were unique. There was no understanding or acceptance of post traumatic stress disorder, shock or depression. No clinician stepped in to declare that Sir William Erskine was not well enough to command men in battle and nobody was there to assess Lord Wellington’s sudden explosions of sarcastic fury and diagnose stress in a man with huge burdens to bear. In the age of the wars against Napoleon no allowances were made for the physical and emotional effect of years of campaigning. Given everything these men went through, the suicides of Charles Bevan and Sir William Erskine are not that surprising at all. The surprising thing is that it didn’t happen more often.